Umbra Birdie hook are a stylish addition to any room. 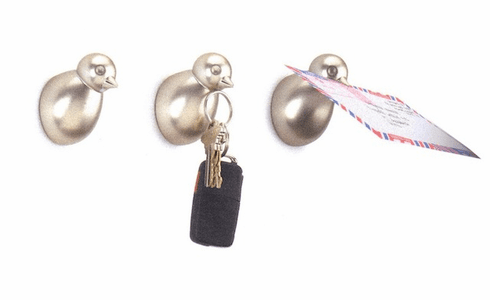 These adorable birds can hold your mail, keys or your jacket. Sold in a set of three so you can mount them together or separate. Mounting hardware included.